Up and down the mountains: put on your hiking boots or get on your bike! With flowering meadows and green pastures, emerald lakes and imposing rocky giants all reachable on foot: the Val d’Ega has a wealth of possibilities for hikers and mountain bikers. The area has a network of 530 km of paths and dirt roads, passing through a great variety of beautiful natural settings which are sure to linger in your memory. The Hotel Zur Sonne is the ideal starting point for all your cycling or hiking adventures in the mountains around Val d’Ega. 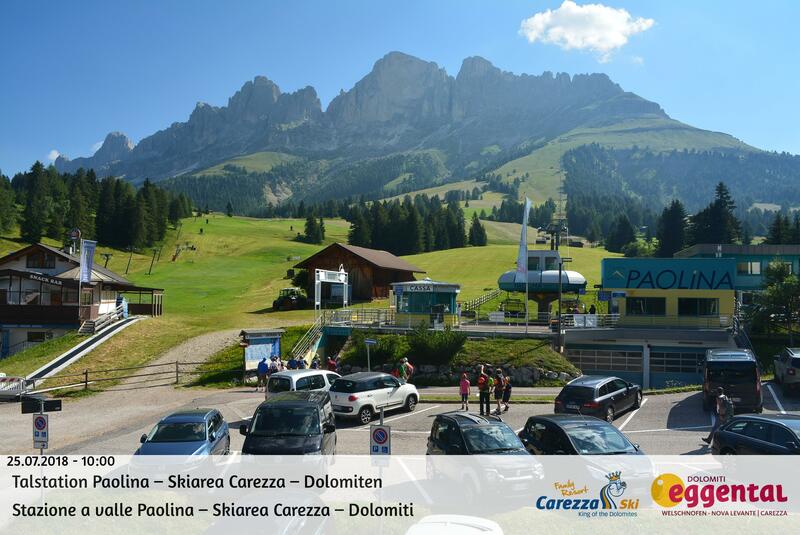 It certainly ranks as one of the best-loved and most photogenic areas in the Dolomites. Mount Catinaccio and Mount Latemar are seen reflected in the emerald green waters of Lake Carezza. The Ladin people called it “Lec de Ergobando”, or Rainbow Lake, as a tribute to its extraordinary palette of colours. Have you ever walked over volcanic rocks? You’ll have a chance to do that here. From the summit of the Corno Bianco, you get a stunning view of the Bletterbach Gorge, the “Grand Canyon” of South Tyrol. Get ready for a journey into the history of the Earth when you enter the “Grand Canyon” of South Tyrol. The gorge is 8 km long and is enclosed part of the way by 20-metre high porphyry walls. As you follow the interactive pathway through the gorge, with its walkways and ladders, you can explore 200 million years of the Earth’s geology. There’s lots to explore in the realm of the “Dolomiti-Unesco Latemarium”: scenic terraces, such as the “latemar.360°”, offer you sensational views all around; trails including the “latemar.natura” wind along rocky cliffs and past strange formations, and some of the routes are adorned with works of art, like those on the “latemar.art” themed pathway. There are 8 adventure trails and countless attractions to enjoy in the Latemarium.